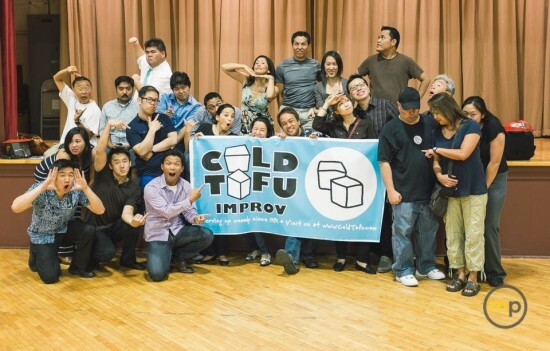 Cold Tofu will present its monthly improv show on Saturday, Oct. 18, at 7:30 p.m. at St. Francis Xavier Catholic Center (Maryknoll), 222 S. Hewitt St. (between Second and Third streets), Los Angeles. Starting the evening off is the return of Cold Tofu’s Iron Improv Stadium, where two teams will battle it out for your laughter to become the protectors of the Tofy Award. Last month’s winner, Crow Magnons (featuring Jhemon Lee, Misa Nguyen, Johnny Long Ye and Kurt Yamamoto), will defend their title against new challengers. They’ll go head-to-head and your vote determines who will win the coveted award. Then continue the laughs with the regular performing cast: Denise Iketani, Jully Lee, Kevin Ocampo, Helen Ota, Mike Palma, Mike Villanueva and Shannon Wong. Reservations are not necessary. Admission, $7 at the door, comes with a complimentary raffle ticket.